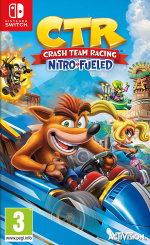 Now that we no longer have to worry about Crash Team Racing Nitro-Fueled for Nintendo Switch being delayed, we can simply look forward to what the game will offer when it does arrive later this year on 21st June. Are you ready for some nitro-fueled racing this April? Tell us in the comments. It's no Mario Kart but it looks pretty good! Great! This series is behind only Mario Kart for my favorite in the cart racing genre. Can't wait for the CTR remake. Looks good. Love the original, so I really hope this turns out great. It's been a long time since I played the original so it'll be interested to see how well the gameplay has aged. Hopefully better than the platformers. Mario Kart is unmatchable as far as multiplayer kart racing goes but the story mode helps CTR stand apart. Lets hope it has no microtranactions. It definitely looks pretty. But thanks to all of the angles, and cuts, in the footage. It's no better than a cinematic when it comes to showing actual gameplay. Still waiting to see some raw uncut gameplay, but from what little I can tell, it at least looks decent. I played a lot of CTR, but it hasn’t gotten better with age. This update may be the revival boost it needs. Gameplay wise I'm sure CTR is going to be as brilliant as the original, but I gotta say what I've seen of the track design so far doesn't really stand up to the standard of the better modern kart games. Hopefully it won't mater in the end but the biggest part of Mario Kart for me is always seeing new track designs, so it could potentially be a bit of a sticking point. @SegaBlueSky I agree although in the newest Mario kart on occasions I did long for an old fashioned kart track without the gimmicks... I think this will be refreshing. I love Mario kart... just think this is different enough to sit alongside happily. We also need MySims Racing HD from EA for Nintendo Switch. I'm way more excited for Team Sonic Racing to be honest. @Anti-Matter @DockEllisD Now those are a lot better. Thank you. Edit: hmm.. The gameplay looks solid. But the maps seem a little small and simple, compared to MK8. It still looks alright, and I'll end up getting it. But I'm not sure I'd put it up there with MK8, unless it makes up with it with map variety, or some more complex maps. With about 100 hours of Mario kart on my switch, I am looking forward to a different kart racer. Hopefully one where my kid doesn't beat me. every. single. race. @DockEllisD looks good. Looking forward to this. Doesn’t this game have boss fights and stuff like that in the single player mode? The angles don't give a proper indication of how the game looks. This game looks pretty awesome! Can't wait to give it a spin myself. 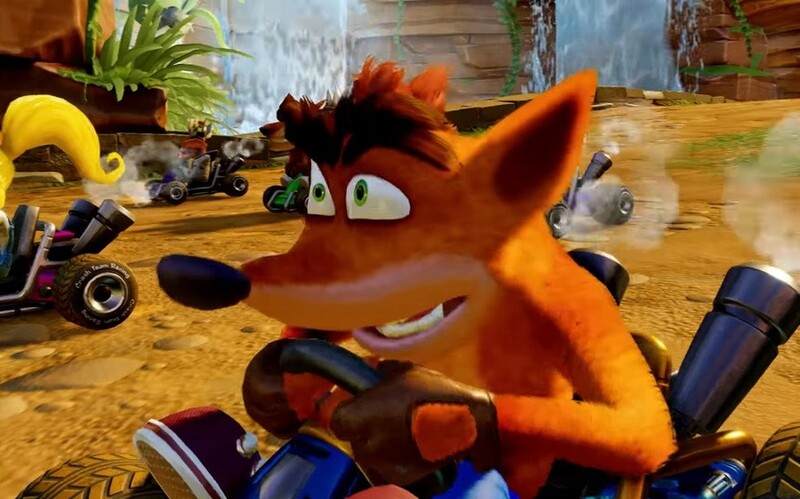 @AG_Awesome Crash Team Racing does have boss races but they're just one on one car races, not like in Diddy Kong Racing where you'll race a real Rhino or an Ocotopus for example. I know lots of people will mention Mario Kart but it's nice to have something different as I've already played a lot of Mario Kart 8 on both Wii U and Switch. It looks like it could be fun, but the only characters I recognize are Crash and Dr. Cortex.